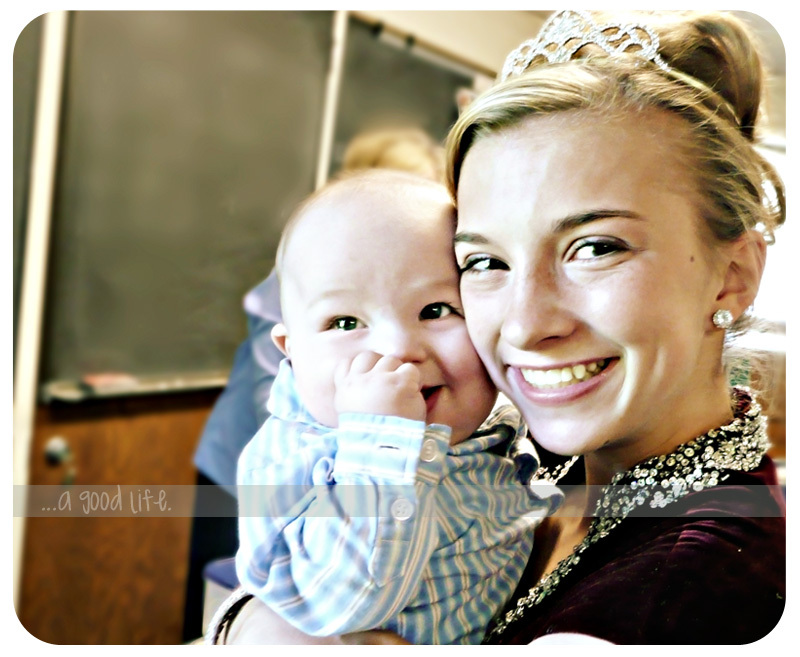 i think parker was a bit smitten by the homecoming princess. yup. prrrrreeeeettty sure he's blushing. today is the last day to get your entries in for the Pillow Pet giveaway. i'm extending the deadline for entries til 6:00 pm pst today. a winner will be posted tonight. remember - a vote for us on top baby blogs is an entry for you. but only if ya like us. ok, even if you don't like us. will you still vote? Haha, smitten is definitely the word, Mama! His little hand by his face is just perfect. Hey! I was so excited to see what you wrote. I've been trying to come up with ideas. I want to make something like a card that parents can hang up in the PICU that says, I can do hard things. Any ideas? Now as people are directing me to many families in the hospital I would like to save the file and be able to send them out on a regular basis with a letter. Thank you so much, we couldn't do this with out all of you!! That is such a precious picture!! that is too cute. his cheeks really are red! so sweet. is that your sister?